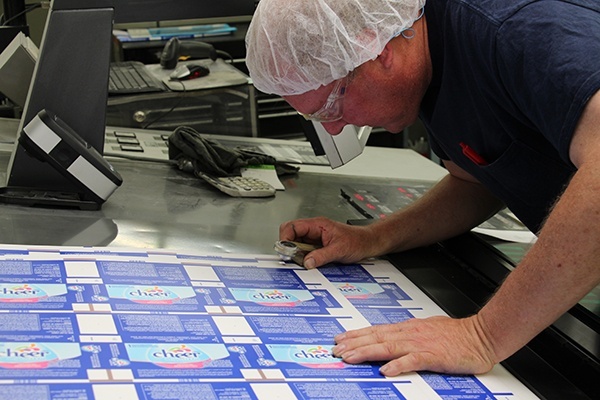 We provide innovative packaging systems, components, and world class service to our customers as a result of our dedication to continuous improvement and quality systems designed to ensure product and supply-chain safety and on time delivery of high quality products. Our leadership and employees are committed to complying with regulatory and customer requirements and to maintaining the effectiveness of our quality management system. Our quality policy is not just a slogan or wishful thinking. It’s a way of life. Meeting and exceeding customer expectations is a passion. We are constantly looking forward to the latest technology, process improvements and training. Real time, excellent results. Our production associates have quality specifications, set up information, and item history at their fingertips. Critical specifications are captured throughout the run in our in-house Quality Tracking software to ensure consistency from start to finish, and from job to job. We have a robust corrective and preventive action process to investigate and solve problems, identify cause, take corrective action and prevent recurrence of the root cause. If you need your supply chain partner certified, we’ll pass an audit every time.